The PlayStation 3 and PS Vita are set to pick up another bright indie title this week with the release of Thomas Was Alone. A strange, charming platformer that's already available for both the PC and Mac, Thomas Was Alone was warmly welcomed by critics and players when it launched in July of last year. The game was praised for its ability to engage players with simplistic mechanics and graphics. Sony secured Mike Bithell and Curve Studios' work for both their home console and portable, and both editions are finally launching today. The game is set to cost $9.99, and it is part of the CrossBuy program. Buy it once, get it on both the PS3 and PS Vita. It's also launching with 20 levels of DLC that hit the PC and Mac after release, that pack will run fans $2.99. 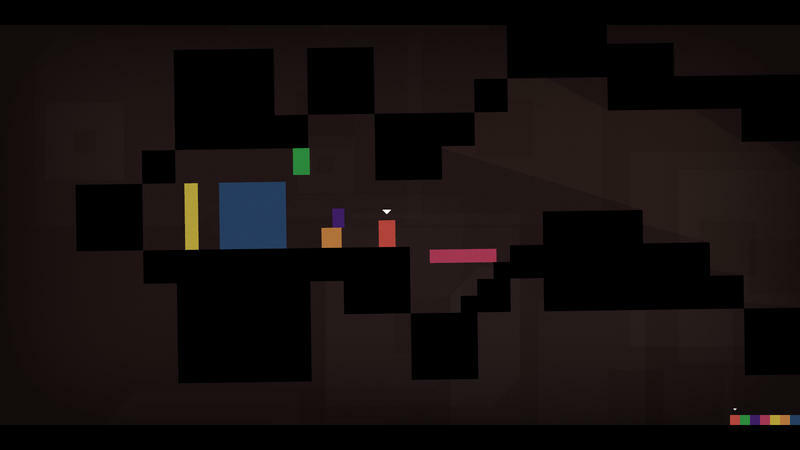 London, 23 April 2013 – Indie developer Mike Bithell and Curve Studios are pleased to announce "Thomas Was Alone" for PlayStation®3 (PS3™) and PlayStation®Vita (PS Vita) is available today on the US PlayStation Store, priced $9.99; and from tomorrow on the EU PlayStation Store, priced £6.99. A 20 level DLC expansion pack is also available priced $2.99/£1.99. Thomas Was Alone is a study in simplicity. A 2D platform-puzzle game that quickly engages and engrosses the player with its charming storyline and art style. Created by Mike Bithell, with a BAFTA-award winning voice over performance by Danny Wallace and with a rousing score by David Housden, Thomas Was Alone launched for PC and Mac in the summer of 2012 to critical acclaim and has built a strong following for the brand and developer Bithell amongst the indie gamer and development community. In addition to Danny Wallace's BAFTA award, Thomas Was Alone also received BAFTA nominations for Best Story and Best Music. Following strong sales on Steam, Independent publisher Curve has been working closely with Bithell and SCEE to port and publish the game on PlayStation, in association with Bossa Studios, Bithell's former employer. "Engaging, funny and fresh, not to mention stuffed to the brim with personality!"